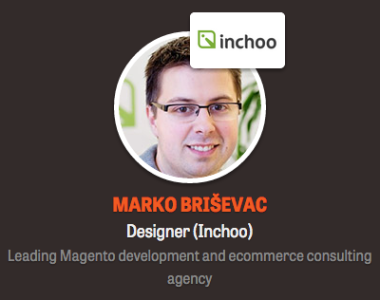 Are you coming to OMGcommerce 2015? The conference, in the words of attendees, described as one of those “must attend” eCommerce conferences in region and as an event that “gathered some of the brightest minds of the industry”. 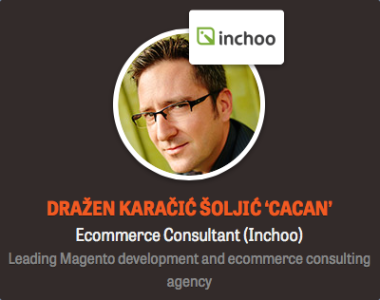 It’s OMGcommerce and Inchoo invites you to come and attend this leading regional conference about eCommerce. Be sure to remember the date – 4th of May, 2015 and place (which is the same as the previous year) – KRAŠ Auditorium, Zagreb, Croatia. Matt Komorowski – Head of Sales from PayPal, Rob Khazzam – International Launcher from Uber and Dražen Karačić-Šoljić – eCommerce Consultant from Inchoo are just some of the many interesting speakers you’ll be able to listen and meet on the conference. If you’re interested in hearing about some of the largest eCommerce projects in the area, meeting some of the leading experts in the field or simply learning how to improve and develop your eCommerce strategy, this is definitely the right place for you! Early Bird tickets are available only for the next 5 days so hurry up and visit the official OMGcommerce conference official website and register. Our eCommerce Consultant Dražen Karačić-Šoljić will introduce you to GTM / Universal Analytics in eCommerce and explain why “Your Next Decision Should be Data Driven”. Dražen will point out how and why the data you can get from Google Tag Manager, and through Universal Analytics, can help you to make better decisions and to improve further sales development. To better understand what can you track and how, he’ll show a few projects he worked on – from implementation and collecting the data to analysing it and making a decision. Why choosing a full website redesign could be a bad choice and could drop your sales? Is there something every web shop seller should have in mind when thinking about making changes to their store? Those are just some of the topics Marko Briševac will cover. Marko is one of our Designers and if you’re in doubt whether to go with a full website redesign or with an incremental changes, he could help you make the decision.